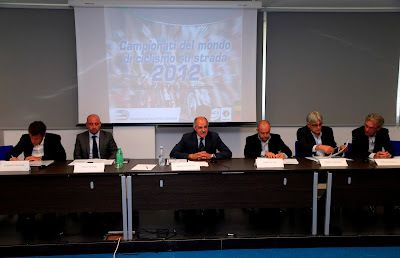 The start will be in Naples on May 4 and finish in Brescia on May 26 having covered a distance of 3,405.3 km. It will leave Italy only once with a stage in France, stage 15, for the Col du Galibier, one of the classic climbs of the Tour de France. The Giro will touch every region in the south of Italy except for Sicily, with a route from Naples to Basilicata and Calabria before heading back along the spine of the Adriatic coast through Puglia, Molise and Abruzzo. Then comes a 55.5 km individual time trial to Saltara (stage 8), the course where current Italian national team cycling coach Paolo Bettini became the Italian road race champion and where the time trial specialists could try to pull out a big enough gap to survive the final week of the Giro in the hope of staying in the pink jersey all the way to Brescia. 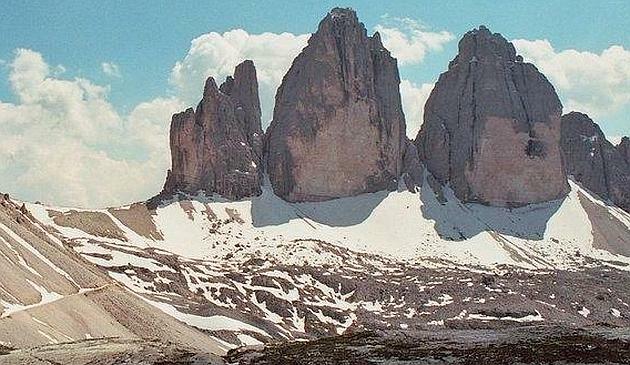 The Tre Cime di Lavaredo (Three Peaks of Lavaredo), stage 20, will be back and will be the penultimate stage of the 2013 Giro d'Italia, on Saturday May 25; they were first included in the Giro in 1967 and last included in 2007. 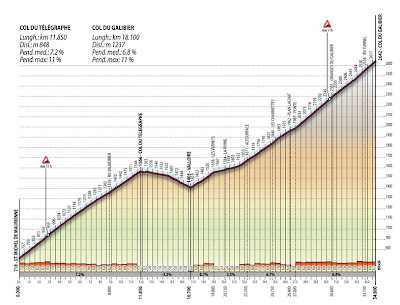 The day before, stage 19, will feature a stage that includes the Gavia and the Stelvio. 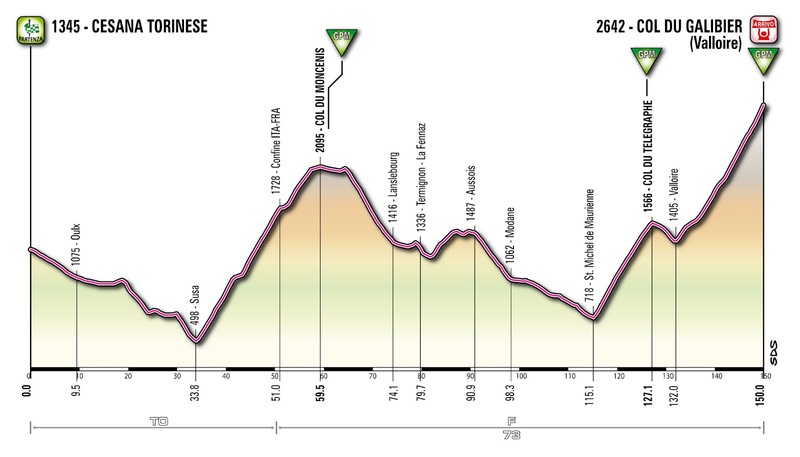 The finishing stage in Brescia will be for the sprinters, a departure from recent editions. Recent winners in Brescia have been Cipollini (2002), Bettini (2006), and Greipel (2010). 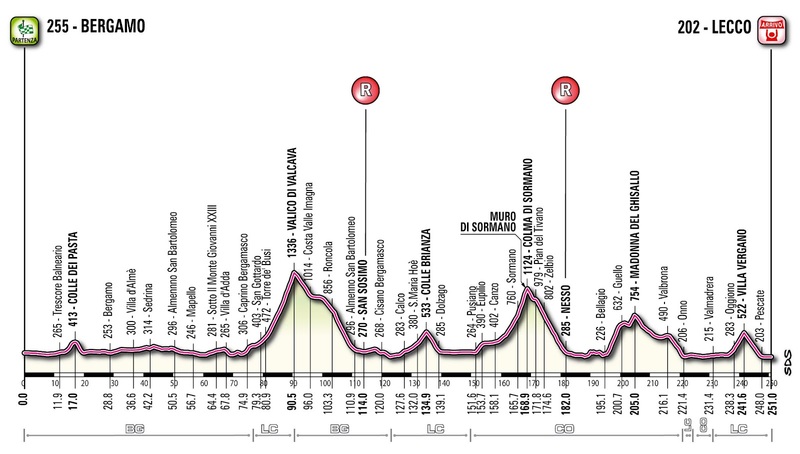 New stages for the Giro will include the individual time trial up to Polsa (stage 18) as well as the team time trial in Forio di Ischia (stage 2), where in 1959, an individual time trial was held (it had been anticipated of that the winner of that stage would be Jacques Anquetil but the surprise winner was Antonino Catalano (Bianchi-Pirelli team) from Palermo, Sicily). 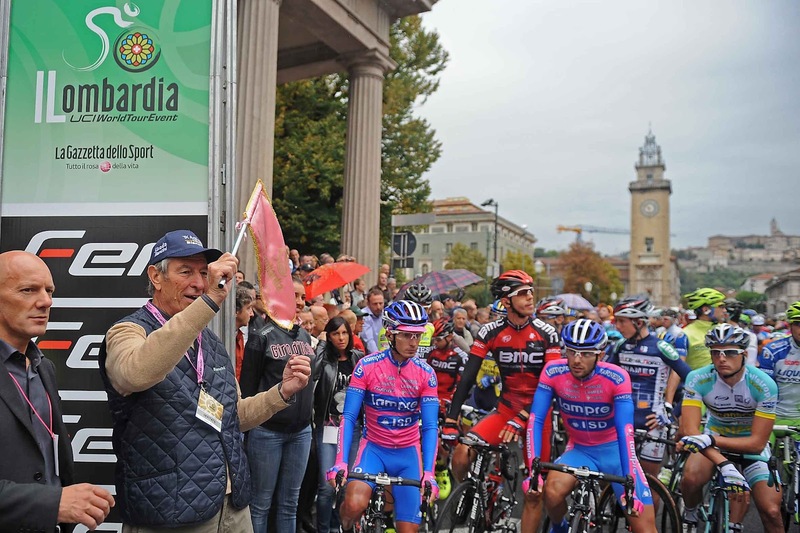 There are other innovations, such as the start in Busseto to honor Giuseppe Verdi, and the San Sepolcro-Firenze stage 8 to honor Gino Bartali . The presenters decribed the route as "not cruel" but the big names all decribed it as "very hard". The 55.5 KM of stage 8 is supposed to be very hard and will put pressure on the pure climbers to attack on the later mountain stages. Note: finish is in Brescia. Joaquin Rodriguez (Team Katusha), who finished second in the Giro this year, became the first Spanish rider to win the Il Lombardia (formerly Giro di Lombardia). Rodriguez finished in 6:36:27 with an average speed of 37.987 km/h. Finishing 2nd and 3rd were Spaniard Samuel Sanchez (Euskaltel Euskadi) at 9 seconds and Colombian Rigoberto Uran Uran (Sky Procycling) also at 9 seconds. 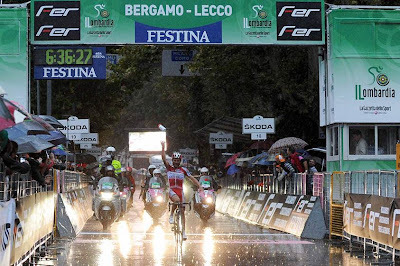 On an autumn day with rain slicked roads and pouring rain in the final kilometers Rodriguez, who made the selection on the Muro di Sormano, was able to dispatch any of the remaining contenders on the climb of Villa Vergano and then cross the finish line in Lecco with his arms raised and by himself. "I was overjoyed when I crossed the line", said Rodriguez. 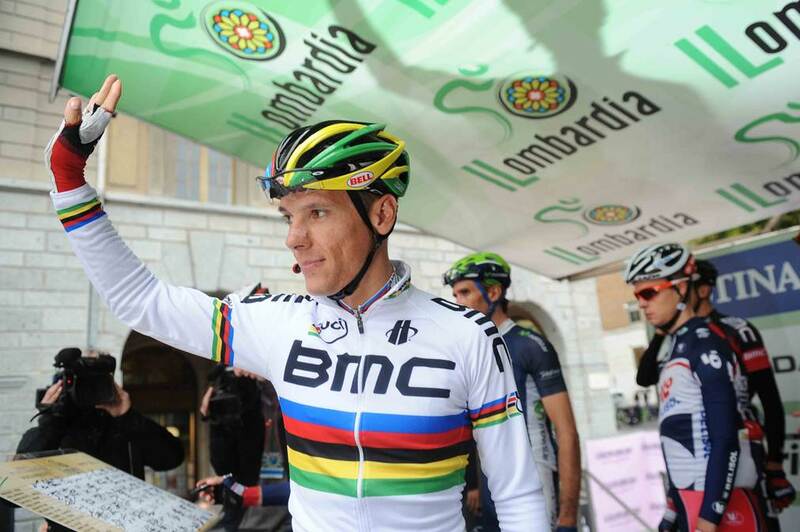 "Il Lombardia is a race that I have always dreamed of winning. I crossed the finish line and threw my water bottle in the air, it's a gesture of good luck and I like to do it when I win." Rodriguez continued, "I really don't like the rain especially when descending because it's dangerous but in fact when it rains I go well. I am very pleased with my results this year (note: won Fleche-Wallonne, second in the Giro d'Italia, third in the Vuelta a Espana). I was fighting for a double goal today, to win this prestigious competition and to take the lead in the UCI World Tour rankings, and I managed both. So I'm really happy. 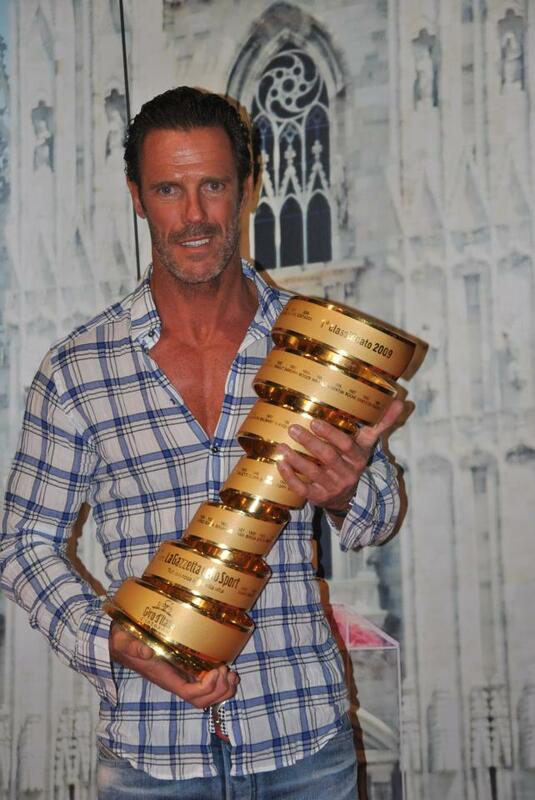 As for 2013, I am looking forward to seeing the presentation tomorrow of the 2013 Giro d'Italia." The rain and slick roads caused Philippe Gilbert to crash out of the race, and there were a number of other crashes including that of Vincenzo Nibali who has now crashed in the last two editions at key moments. The last Italian to win Il Lombardia is Damiano Cunego, in 2008. Race favorites: World Champion Philippe Gilbert; Vuelta and Milano-Torino winner Alberto Contador; Giro d’Italia winner Ryder Hesjedal; Joaquin Rodriguez (a specialist in steep climbs); Vincenzo Nibali (splendid protagonist last year), winner of Gran Piemonte Rigoberto Uran Uran; Samuel Sanchez, Ivan Basso, Damiano Cunego (three time winner of Il Lombardia-2004, 2007, 2008); Franco Pelizzotti (Italian Champion), Diego Ulissi and winner of last edition Oliver Zaugg who will start with No. 1. Live streaming of the race by the Gazzetta dello Sport begins at 2:30 PM (Italy time), in Italian of course, here. Since there are readers of ICJ from all over the world let me mention that live streaming of the race by the Gazzetta dello Sport will begin tomorrow at 2:30 PM (Italy time), in Italian of course, here. Muro di Sormano from Jered Gruber on Vimeo. The recon of tomorrow's Muro di Sormano in the Il Lombardia was done by Lampre riders Anacona, Ulissi and Niemiec (they appear L-R in the start of the video; sport director Piovani is to far left). For the recon they mounted 36x29 but will decide what to use tomorrow after the recon. This portion of the video is the Muro di Sormano part of a recon day that was 90 km and included the climbs of Eupilio, Sormano, Muro di Sormano, Ello and Villa Vergano. The video camera is mounted on Ulissi's bike. The Muro di Sormano begins when the riders turn left off the road at 3:52 mark in the video. Ulissi's expression at the end says it all. Enjoy the race tomorrow! If you are in a country which is not broadcasting it go to www.cyclingfans.com to find a streaming feed. The "Il Lombardia", the new name for the Giro di Lombardia, will be held on Saturday, September 29th. 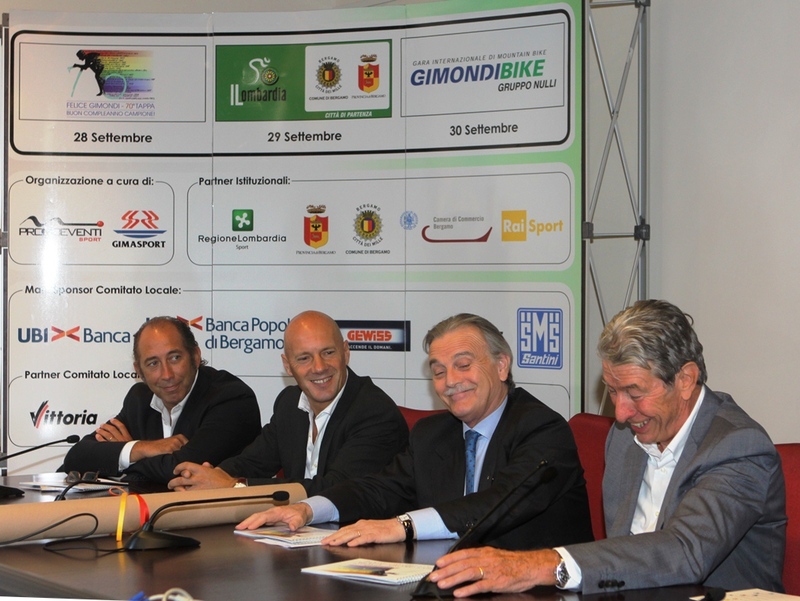 The 106th edition of the classic will be 251 km in length and will start in Bergamo (to celebrate Felici Gimondi's 70th birthday) and finish in Lecco. The terrible climb of the Muro di Sormano is back in the route exactly 50 years after the climb proved so difficult that many riders were forced to get off their bikes and walk. 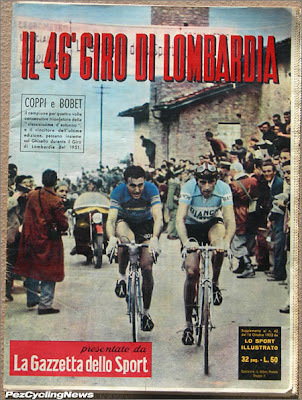 PEZ Cycling News has an interesting story based on the program published 60 years ago by the La Gazzetta dello Sport for the 1952 Giro d'Lombardia. Read it here. 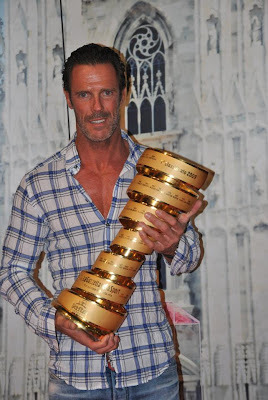 The Gran Fondo Giro d'Italia has announced that Mario Cipollini will be in Miami/Coral Cables for the gran fondo on November 11, 2012. Will you miss the opportunity to meet and ride with a cycling legend? Official presentation is Sunday, September 30th. 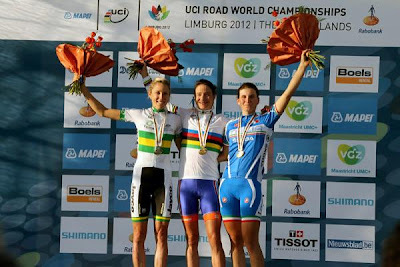 After five consecutive silver medals in the Women's Elite road race, Marianne Vos (Netherlands) was able to win gold. The only women able to go over the final climb of the Cauberg with Vos were Rachel Neylan (Australia) and Elisa Longo Borghini (Italy) finishing 2nd and 3rd respectively. 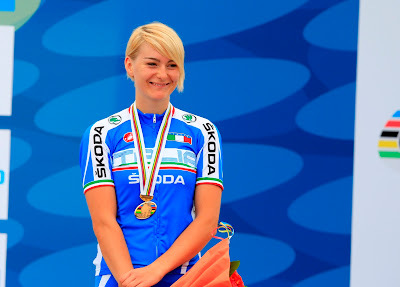 Anna Strickler (Italy, from Alto Adige) finished 3rd in the Junior Women's road race behind winner Lucy Garner (Great Britain) and 2nd place Eline Gleditsch Brustad (Norway). 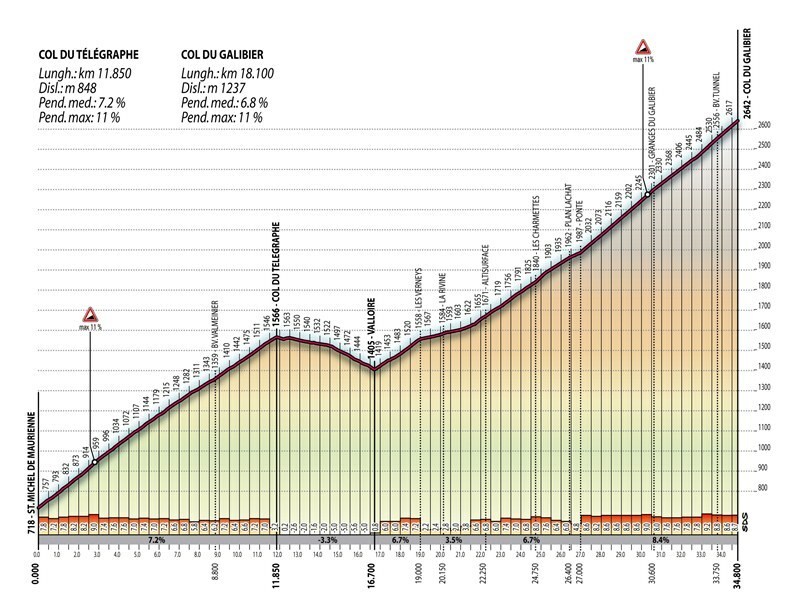 19 May, Sunday: Cesana-Galibier (officially announced, read here). 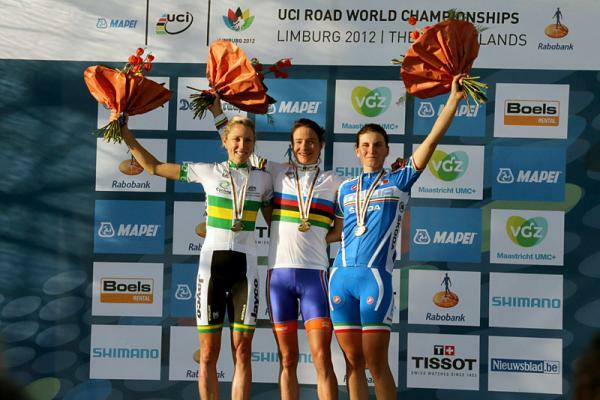 Merida Europe GmbH is pleased to announce its commitment to the UCI WorldTour as per January 1st 2013. With the UCI ProTeam Lampre a both likeable and successfully established team has agreed to be supplied with MERIDA’s high-end equipment for the next three seasons and to compete under the official name “Team Lampre-MERIDA”. With the MULTIVAN MERIDA BIKING TEAM, Taiwan’s second-largest bicycle manufacturer has been supporting one of the world’s most successful mountain bike racing teams since 2004; entering the UCI WorldTour thus was a long-awaited and logical next step in order to get the best showcase possible for the brand’s premium road products as well. As per 2013, the new Team Lampre-MERIDA will be competing on state-of-the-art equipment: The SCULTURA SL is setting benchmarks in terms of stiffness, agility and vertical compliance, thus making sure that the Team Lampre-MERIDA can participate not only at the big races such as the Giro d’Italia, the Vuelta a Espana and the Tour de France with legitimate aspirations. On top of that, early in 2013 a time trial bike that has been developed from scratch to meet the demands of time trialling with the world’s elite is going to be presented. More team bikes tailor-made to suit the needs for cobble-stone classics such as Paris-Roubaix or particularly aerodynamic models for long escapes and building a lead-out train for a sprinter are going to be presented throughout the next year. MERIDA is the private brand of Merida Industry Co., Ltd, Taiwan’s second-largest bicycle manufacturer. The company had been founded in 1972 by Ike D.H. Tseng in Yuanlin, Taiwan. After the founder’s death in January 2012, his son Michael Tseng took over. At its three production facilities in Yuanlin, Shenzen and Shandong (the latter two based in the People’s Republic of China), about 3500 employees produce about 2.5 million bicycles per year that are being distributed in 70 countries around the world. MERIDA’s world-wide workforce sums up to about 52.000 people. Ever since 2004, MERIDA has been participating in international competitions with great success with the “MULTIVAN MERIDA BIKING TEAM”, a team that has Olympic and World champions in its line-up with riders such as Gunn-Rita Dahle Flesja, Ralph Näf and José Hermida. 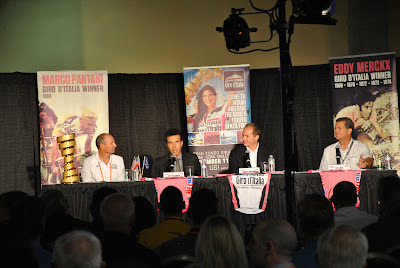 Las Vegas – The Giro d’Italia chose Interbike, the premier cycling trade event in North America, as the stage to announce the upcoming, tropical edition of the Gran Fondo Giro d’Italia in Miami. The press conference special guest, Michele Acquarone, director of the Giro d’Italia (RCS Sports), talked about the love story between cycling enthusiasts, Giro d’Italia and its champions. “As organizers, we want to reinforce the relationship between cycling fans and the mystique of the Giro. To grow the importance of Giro d’Italia in the world, we decided to bet on the United States, where the romance of this sport and Italy is strong. We had a pilot edition in Pasadena, and now we look forward to the upcoming Miami edition.” At the end, Acquarone revealed the exciting new Col du Galibier mountain stage summit of the 2013 Giro d’Italia. The website for the 2013 UCI World Championships-Toscana (Tuscany), Italy, has been updated today with a promo video and a video with the course information. 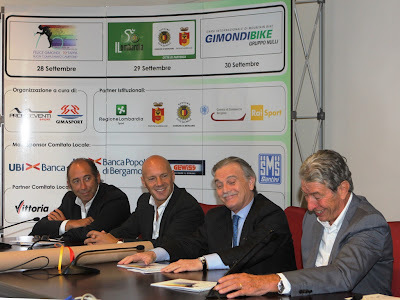 The Regione Toscana is a partner in the project with these Tuscan cities playing important roles in the championships: Firenze, Lucca (where Mario Cipollini hails from), Pistoia, Montecatini Terme, and Fiesole. The dates are September 22-29, 2013. The website is www.toscana2013.it (not all sections are finished). "You cannot talk about cycling, especially an event in Tuscany, without mentioning Alfredo Martini, born 1921 in Firenze (Florence). A life for cycling, from race driver to coach with an unequaled career record. His career as a cyclists lasted from 1941 to 1957. The clever domestique won the Giro dell’Apennino 1947, Giro del Piemonte 1950, the stage to Florence of the 1950 Giro d’Italia, which he finished as an overall third behind Koblet and Bartali, wearing the pink jersey for one day, he won one stage of the 1951 Tour de Suisse, finishing another time third behind Kubler and Koblet. After his career as a cyclist, he became coach of the national team, leading to their World Championship titles Francesco Moser 1977 in San Cristobal (Venezuela), Giuseppe Saronni 1982 in Goodwood (Great Britain), Moreno Argentin 1986 in Colorado Springs (USA), Maurizio Fondriest 1988 in Renaix (Belgium), Gianni Bugno 1991 in Stuttgart (Germany) and Benidorm (Spain) in 1992, along with other seven silver and seven bronze medals. 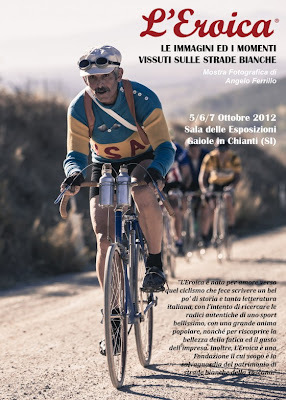 He is one of the outstanding characters of Italian cycling, an extraordinary person, historic memory of the “Giro” and untiring narrator of anecdotes related to cycling. 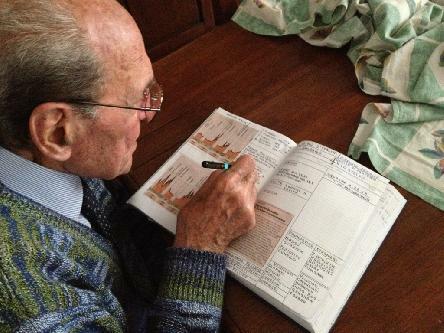 Since 1998 he is supervisor of all national teams and honorary president of the Italian Cycling Federation FCI." Back in August it we wrote that Brixia Sport had acquired Liquigas Sport (read here). The next step in the team's future was announced today in the following press release. Bethel, Conn. – September 20, 2012 – Cannondale, a premium brand of Dorel Industries, announced today that it is significantly increasing its investment with Brixia Sport to become the title sponsor of their pro cycling team, newly named "Cannondale Pro Cycling Team." The relationship is effective January 1, 2013. For 2013 and beyond, Cannondale and the team will focus on the development of a young stable of incredible talent including Peter Sagan, the winner of the Green Jersey at the 2012 Tour de France, Moreno Moser and Elia Viviani. These riders will, in turn, be guided by committed veterans like Ivan Basso. "Cannondale is excited to partner with Brixia Sport to be the title sponsor of the Cannondale Pro Cycling Team. Innovation leadership is part of our DNA. For the past six years, it has been a thrill to watch the team push their limits on our bikes as we push the boundaries on what those bikes can do," said Bob Burbank, General Manager, Cannondale. "With the title sponsorship, our dealers and consumers can expect to see us really challenge the status quo and develop programs and opportunities that demonstrate our continued commitment to professional cycling in new and exciting ways that will be undeniably Cannondale." Cannondale began its relationship with the team in 2007 as the technical sponsor for the Liquigas Pro Cycling Team. In January of 2010, Cannondale became a co-sponsor of the Liquigas-Cannondale Team. Since 2007, the team has won: three Grand Tours including the Giro d'Italia in 2007 and 2010 and the Vuelta a Espana in 2010; two Tour de France jerseys, including the 2009 Polka Dot and the 2012 Green Jersey; and, countless prestigious individual races. Throughout the relationship, the team has ridden the race-proven line of Cannondale road bikes including the SuperSix, Slice, Slice RS, Synapse and the recently named "Best Bike in the World" SuperSix EVO Ultimate. "Fans of the sport and Cannondale can expect to see one of the world's best race teams riding on the most exciting bikes available," said Burbank. "It's truly a partnership in innovation and excellence." "We are incredibly pleased with Cannondale's decision to continue and increase its partnership with the team," said Paolo Zani, President, Brixia Sport. "We share the same goal of furthering a sports project that has produced exciting results in recent years. We are convinced that the Cannondale Pro Cycling Team will be one of the most competitive teams in international cycling. Combining the Italian tradition of cycling with the naturally innovative spirit of a brand like Cannondale will initiate the genesis of an international team that will always be a main contender wherever it competes." 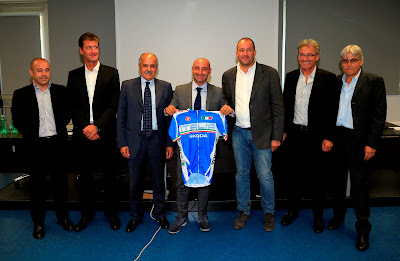 "The qualities with which the Cannondale Pro Cycling Team sports partnership begins will provide great motivation for the entire organisation at Brixia Sport," said Team Manager Roberto Amadio. "The experience and expertise we have gained since 2005 form a solid foundation on which to build the future of the new team. We have ambitious goals and the right structure to ensure we achieve them. We'll have a sound squad with a focus on young riders and a strongly international influence. We will repay Cannondale's trust in us with the utmost commitment and professionalism. The team is thrilled to know that they continue to ride on the best bike in the world. It will be the first time and it will be special. On Sunday 19th May, 2013 the Giro d’Italia will raise its flag on one of the sacred mountains of cycling, the Col du Galibier. The stage will end at the top of the climb (2,642 meters) where the mountain divides the French departments of Savoy from the Hautes-Alpes. It will be the first time in the history of cycling that a race, climbing from Valloire, will finish at the top of this monumental mountain. Stage 15 of the ‘Corsa Rosa’ will start from Cesana Torinese, and take riders towards Susa where the Colle del Moncenisio climb will begin, then downhill towards the Val D’Arc. 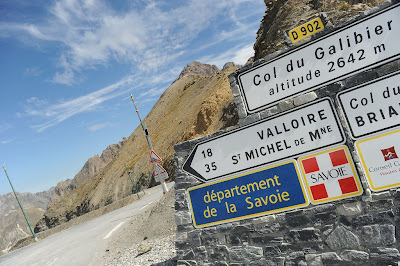 At Saint Michel de Maurienne the race will climb the Col du Télégraphe and then, from Valloire, the last 18km will head upwards towards the glory of the summit of the Col du Galibier. Everyone remembers Marco Pantani’s legendary stage in the 1998 Tour de France as the climb that sealed his overall victory of that year’s edition of ‘Le Tour’. 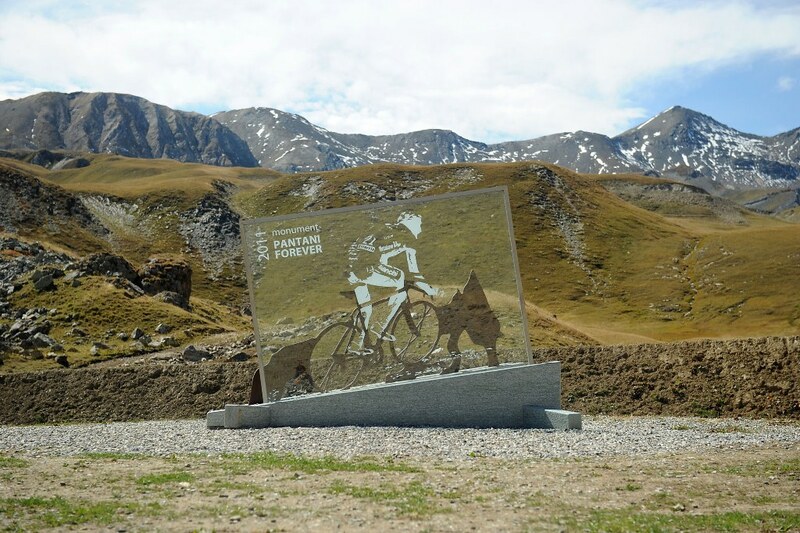 Fittingly at 4km before the summit, where Pantani started his attack, there’s a stone monument that remembers his achievement. 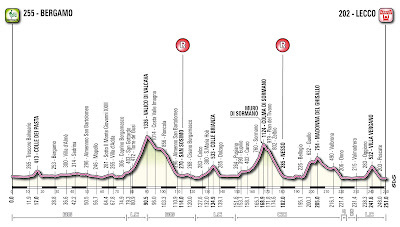 All these ingredients will give fans the spectacle of one of the most dramatic stages ever – a stage that promises to remain in the history of the Giro d’Italia forever. 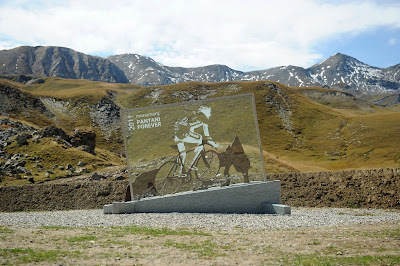 The Galibier recalls, among its rulers, giants like Henri Pélissier and Eugène Christophe, a flea Vicente Trueba ("the Flea of the Pyrenees"), an eagle Federico Bahamontes ("the Eagle of Toledo") , the angel Charly Gaul ("the Angel of the Mountain") and a cannibal (" the Cannibal ") in Eddy Merckx. Among the Italians, the winners have been Bartolomeo Aimo in 1924, Francesco Camusso in '32, Gino Bartali in '37, in '38 Mario Vicini, Fermo Camellini in '47, in '52 Fausto Coppi, Franco Chioccioli in '92, Marco Pantani in '98, and Stefano Garzelli in 2003. Galibier related story in ICJ here. Use the search feature in the upper right to find more! 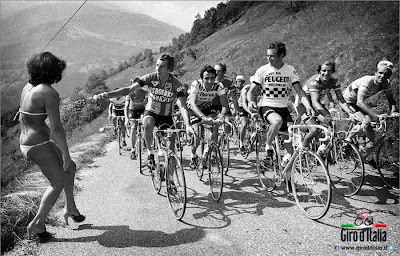 In the near future it will be even easier to ‘live’ the L’Eroica experience. Riding on the roads of L'Eroica in a supported structure will be possible at any time thanks to a new service that is being implemented. With the 2012 edition of the L'Eroica comes L'Eroica Travel, the ideal way to combine the unique features of the L'Eroica throughout the year using the permanently marked route. A number of services covering all the needs of those who want to enjoy cycling tourism will be just a click away at www.eroica.it website: selected farm holiday accommodations, immersed in nature; accommodation in small towns, or even in the heart of Siena. From the site you will be able to build build your own dream on two wheels, in structures offering all the services you will need: bicycle storage, repair kits/workshop, route information, adequate dining facilities, laundry, bicycle leaning, bike rental, escorts and guides, internet access, and emergency services. The services of L’Eroica Travel will be presented in more detail during this year's L'Eroica weekend, October 5, 6, and 7. Note: During the weekend the weekend there will be a photo exhibit by Angelo Ferrillo. We have featured some of his photographs in the past here. Interesting photography this year. Italian rider Julia Innerhofer is in the calendar but I like this photo of Hungarian Barbara Benkó. Meetings between the Giro d'Italia organizer (RCS Sport) and Ischia local government officials who desire to hold a stage have continued since November, the latest being this past week. Ischia, at the northern end of the Gulf of Naples, presents many challenging logistical issues in bringing a massive event like the Giro to a small island. 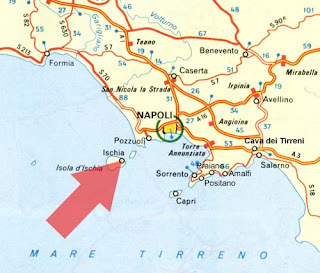 With the official 2013 Giro d'Italia presentation scheduled for September 30th a final deadline for making a decision about Ischia has been set for Tuesday, September 18th. 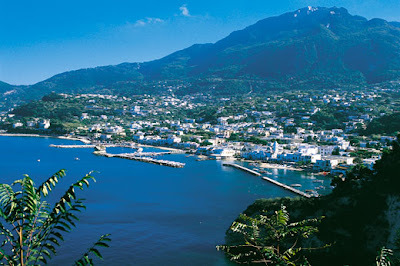 The only time the Giro has visited Ischia was in 1959 for a 31 km time trial stage, Stage 8. 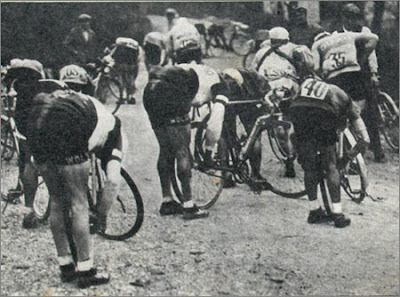 It had been anticipated that the winner would be Jacques Anquetil but the surprise winner was Antonino Catalano (Bianchi-Pirelli team) from Palermo, Sicily. Contact me at veronaman@gmail.com. There are more than 2,500 stories in this blog. The search feature to the right works best for finding subjects in the blog. There is also a translate button at the bottom so you can translate each page. 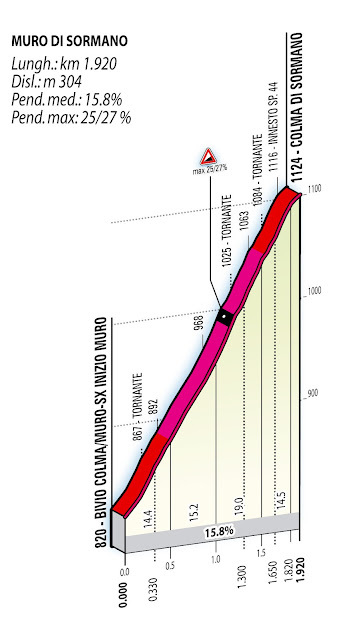 As we reported in Part I, the terrible climb of the Muro di Sormano is back in the route of the 106th edition of the Il Lombardia (formerly named the Giro di Lombardia), exactly 50 years after the 15.8% average, 25-27% max, climb proved so difficult that many riders were forced to get off their bikes and walk. This year the Muro di Sormano, the short but very steep climb near Lake Como, comes after 165km of racing and will be followed by the climb to Madonna del Ghisallo and the short climb to Villa Vergano, where Oliver Zaugg attacked to win the 2011 edition of Il Lombardia. Muro Di Sormano from brokenp87 on Vimeo. The last time the Il Lombardia climbed the Muro di Sormano was in 1962 when Johannes de Roo of the Netherlands won the race. Fausto Coppi is the most successful Il Lombardia winner of all time, winning consecutive race in 1946, 1947, 1948, 1949 and 1950. 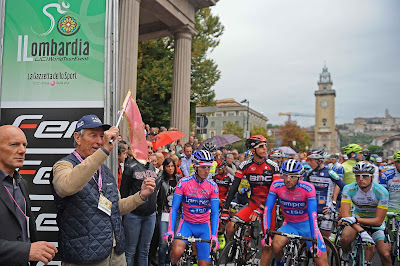 The 2012 edition of Il Lombardia will be held on Saturday, September 29, and celebrates Felice Gimondi’s incredible career in the year of his 70th birthday with the start in Bergamo. The race will be bookended with a gala dinner in Bergamo on Friday evening which will be attended by many champions and on Sunday with the GIMONDIBIKE mtb race. Gimondi (far right in photo) said, "I am honored and excited for all that has been organized to celebrate my birthday. Il Lombardia is a great race, one of the five classic "monuments" and who wins here is a champion with a capital "C". I managed to win it twice, in 1966 and 1973. They brought me two great satisfactions and two wonderful memories I carry in my heart." If you are in Bergamo for the weekend, or in the future, don't forget to visit the only Bianchi concept store in Italy; details previously posted here. The 2013 Giro d'Italia presentation will take place in Milano on Sunday, September 30th. 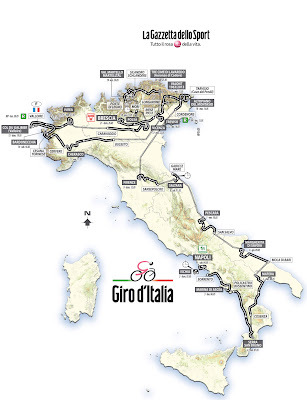 We already know that the Giro will start in Napoli (Naples). Dates: May 4 to May 26. ISOgrip, unveiled at EuroBike, is the name of Vittoria’s newest compound for road racing tires. According to Vittoria, ISOgrip takes tire compounds to the next level and it’s the first product coming out of the company’s new compound factory in Thailand that will be officially opened next January (see this story about the factory). ISOgrip been secretly tested during Giro d’Italia and Tour de France by pro teams such as Rabobank and is now available to the public. Vittoria’s entire cotton family, from Corsa CX to Pavé CG, has the new innovative compound. 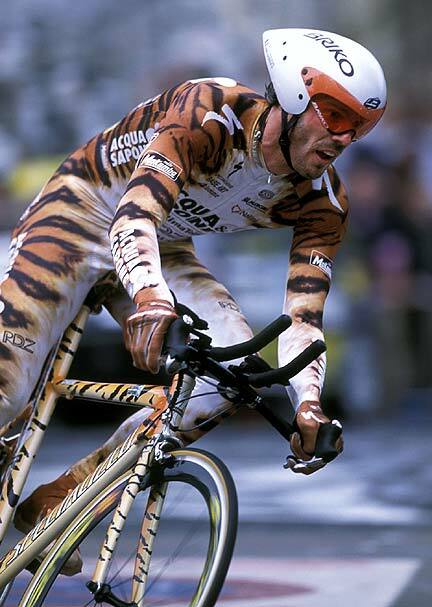 Ahhh, who can forget this old Northwave advertisement with Mario Cipollini ? I digress. Northwave has moved on since then, continuing to produce cycling shoes, apparel and eyewear. More recent wearers of Northwave shoes include Tom Boonen, Philippe Gilbert, Frank and Andy Schleck, Fabian Cancellara, and Josè Hermida, (2010 World Champion, MTB). Note: the FCI implemented a decision to not select any rider involved in any doping inquiry. 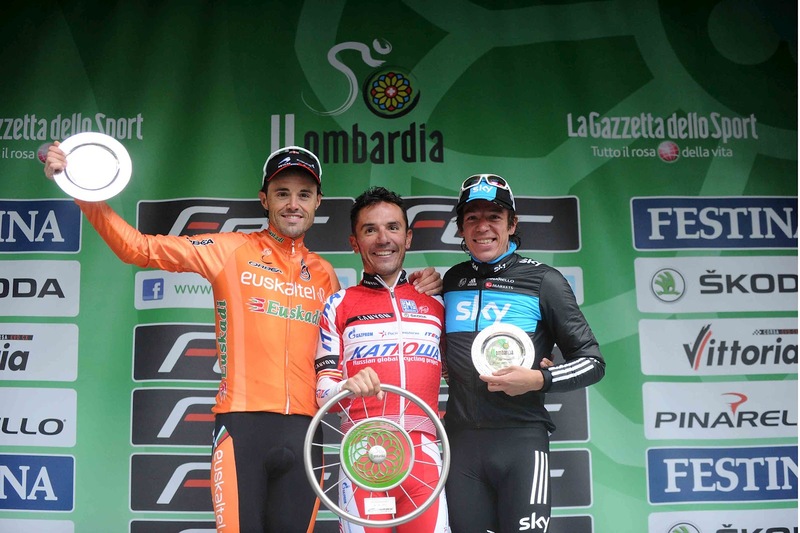 This is why you do not see names such as Cunego, Ballan, Visconti, Gasparotto, and Pozzato. I will publish the Under 23 and Junior squad details later.